A new breed of housing that would allow homeowners to build a separated residence on their property sailed through a key city panel Monday night. The so-called "accessory dwelling units" could one day become a new affordable living option for renters or aging family members in some of the city's many low-density residential neighborhoods. They would simultaneously provide a steady source of income for people struggling to pay for and maintain a larger home. "I believe it will provide affordability for families, flexibility for shifting demographics in the city of Minneapolis and better land use," said Craig Wilson, a principal at sustainable development firm Sustology, at a city planning commission meeting Monday. The planning commission voted to approve the ordinance change, authored by Council Member Lisa Bender, sending it next to the City Council's zoning and planning committee. It has been the subject of five public open houses. "Attached" units would be built onto the back end of an existing house. "Detached" units consist of building a completely separated structure. "Interior" units could be housed in the basement or top floor of an existing house. 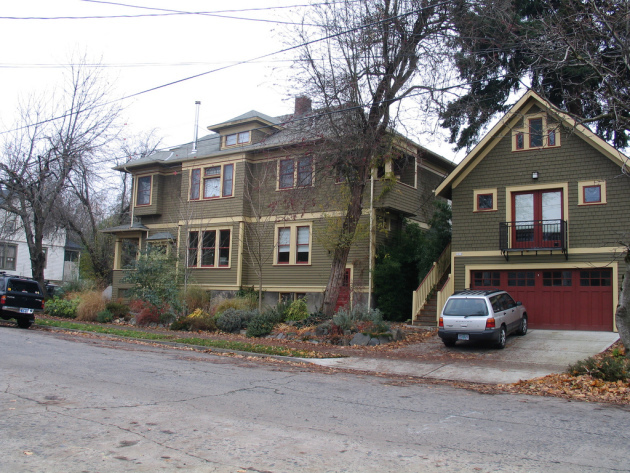 Above: An accessory dwelling unit above a garage in Portland, Oregon's Irvington neighborhood. Taken by Flickr user Radcliffe Dacanay, used under Creative Commons license. The proposal would require new structures to attached structures match the exterior materials of the existing house, and detached ones to use durable materials. They would not require an additional parking space. The planning commission decided to raise the maximum height to 20 feet, but detached structures still may not exceed the height of the existing house. They also tweaked the maximum floor area for the detached units to add flexibility. "We're trying to get to a habitable unit, one that will actually get built," said planning commission president Ted Tucker. "But we don't want to dominate neighborhoods with second houses in the back." Many other cities across the country already allow similar units, including Seattle, Portland, Denver and even Bloomington, Minn.
Everyone from the public who attended Monday's meeting testified in support of the change. Most of the nearly 200 residents who answered a city survey were supportive. "It will provide hundreds if not thousands of units of affordable housing seamlessly integrated into our neighborhoods, into the walkable areas where people are wanting to live," testified Max Musicant, who runs a firm that activates public spaces. 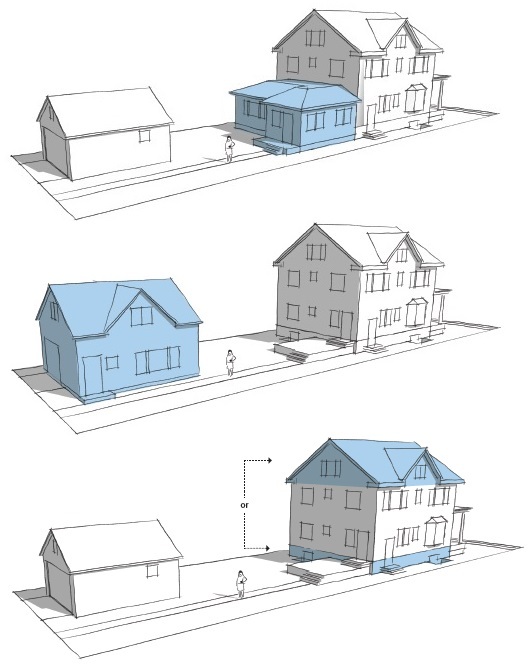 "And it will also save countless numbers of historic homes by making them economically more viable and preventing teardowns by accommodating changing preferences."